Dr. Jung's research is supported by and in collaboration with the Department of Energy, the National Energy Research Scientific Computing Center in Oakland, California and the National Science Foundation, Ministry of Science, ICT and Future Planning and National Research Foundation of Korea; his lab solely secures more than $4M. He also works with Lawrence Berkeley National Laboratory as Guest Research Scientist, to model and simulate diverse memory technologies on scientific applications in designing energy-efficient Exascale computing systems. In addition to his academic activities, Dr. Jung has many years of industry experience, several industrial U.S. patents related to multi-channel SSDs, and approximately sixty technical papers regarding SSD flash firmware and kernel-level file systems. He earned his Ph.D. in Computer Science at Pennsylvania State University and his M.S. in Computer Science from Georgia Institute of Technology, and an M.S. in Embedded System from Korea University in Seoul. His research has been nominated as best paper from the Institute of Electrical and Electronics Engineers/Association for Computing Machinery (IEEE/ACM) Internal Conference for High Performance Computing, Networking, Storage and Analysis 2013 (SC'13). 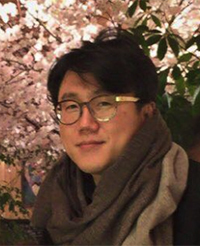 He has received the Lawrence Berkeley National Laboratory Award of Excellence, Samsung Flash Software Group Best Engineer and Product Planning awards, and Future Scientist and Competitive Professional Development awards from South Korean federal agencies. Dr. Jung loves memory and storage systems. His research topics are mainly focused on advanced computer architecture, embedded systems, firmware, middleware, memory controller design atop/within storage class Non-Volatile Memory (NVM) technologies such as NAND flash, Resistive RAM (RRAM), Magnetic RAM (STT-RAM), and Phase-change RAM (PCRAM). These emerging NVM studies will define new computer architecture and new parallelism computing, which can in turn boost performance and reduce energy consumption with better reliability at a given technology. He actively leads diverse NVM projects such as modeling open source-based NVM simulation, analyzing/designing high performance many-chip Solid State Disks (SSD), developing host-local NVM systems and optimizing NVM software stacks. He is also interested in introducing different types of NVM technology into big-data processing and scientific applications such as out-of-core computing, in-situ analysis and message logging, and enabling NVM-based burst buffer/micro-check pointing under diverse high performance computing (HPC) and data-center system organizations. U.S. LBNL/DOE, Design and Implementation of FPGA-based Non-Volatile Memory Controllers, DE-AC02-05CH 11231, 2017. National Research Foundation, 5 Years Young Researcher Career Program, R1C1B2015312, 2016 (Single PI). U.S. National Science Foundation, CNS Core Programs Award, CNS-1422923, 2014 (Single PI). U.S. Department of Energy and Lawrence Berkeley National Laboratory, CoDEx Award, DE-AC02-05CH1123, 2014. Award of Excellence, Lawrence Berkeley National Laboratory, Computer Sciences Summer Student Program, 2012. Program Committee, Design Automation Conference, (DAC), 2019. Program Committee, Non-Volatile Memories Workshop, (NVMW), 2019. External Review Committee, IEEE Symposium on. High Performance Computer Architecture. (HPCA), 2019. Program Commiittee, IEEE Non-Volatile Memory Systems and Applications Symposium (NVMSA) 2017. External Program Committee, International Symposium on Computer Architecture (ISCA) 2017. Organization Committee, Korean Institute of Information Scientists and Engineers (KIISE) Spring 2017. Organization Committee, International Symposium on Computer Architecture (ISCA) 2016. Organization Committee, Operating System Support for Next Generation Large Scale NVRAM (NVRAMOS) 2016. Session Chair, Design Automation Conference (DAC) 2016. Program Committee, ACM/SIGARCH International Conference on Supercomputing (ICS), 2016. Program Committee, IEEE International Parallel & Distributed Processing Symposium (IPDPS), 2016. External Review Committee, IEEE Symposium on. High Performance Computer Architecture. (HPCA), 2016.